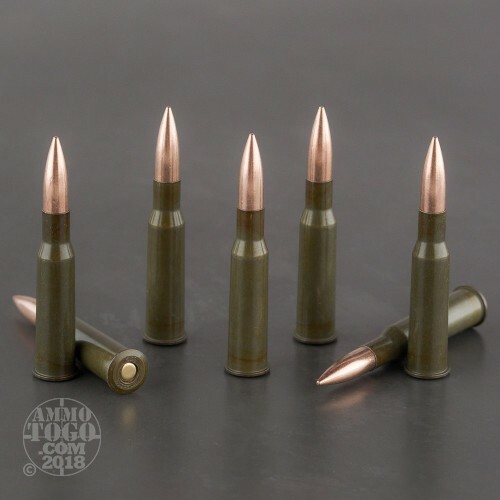 Use this Wolf ammunition in your PSL or Mosin-Nagant for dependable long-range performance. 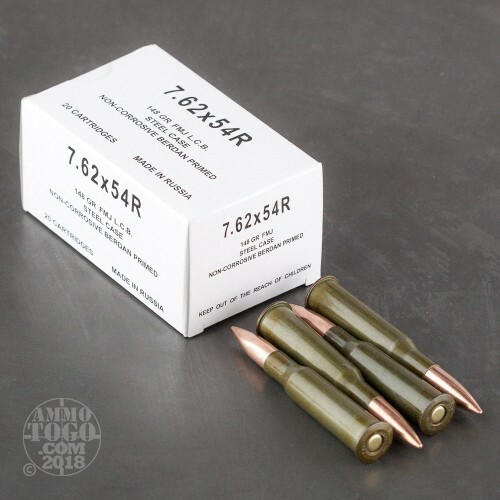 These cartridges fire a 148 grain full metal jacket bullet and come in boxes of 20. 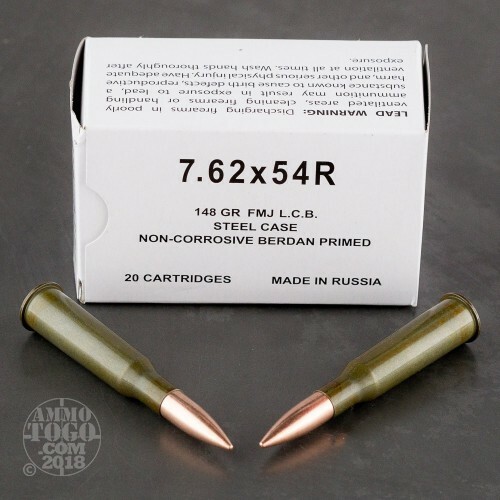 Wolf ammo is made in Russia and uses steel cases. While not reloadable, steel is highly cost-effective and durable; to reduce friction in your rifle's action, the cases have smooth polymer coatings. 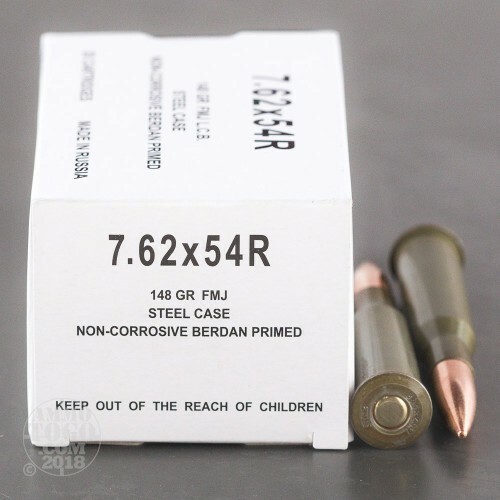 Like other Wolf products, this ammo uses non-corrosive Berdan primers.